After taking Ceramics and Sculpture her freshman year, junior Baylie Hansen is now a Drawing and Painting student. Hansen worked on project with linoleum. The students had to take a picture with a theme, choosing between personal characteristics, cultural background, nature, emotions, or still life. “I chose emotions, so I took a picture of Ann laughing,” Hansen explained. After picking a picture, the students had to modify it with Photoshop to make a stamp. Once printed, they used an ebony pencil to draw on top of the parts they wanted to carve. 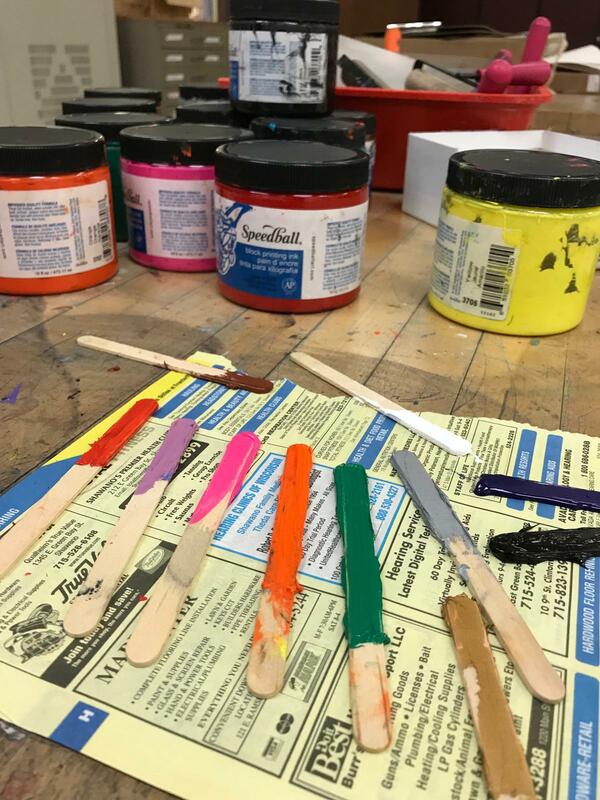 At the end of the process, the students inked their project and put them in the ink press. 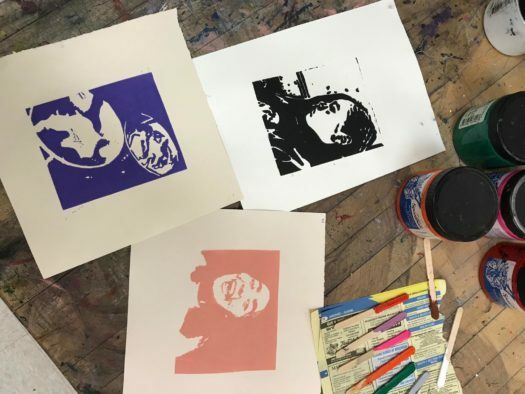 “At the beginning it was really stressful because when you are carving into the linoleum it does not look like it’s going to turn out good, but once you put the ink on the paper it looks a lot more like the actual picture,” Hansen commented. Hansen is not planning a career in Art, but she really enjoys her class. “I want [people] to feel happy by looking at my art,” she stated. Art is about emotions, personality, but also patience and resilience. “If you are working on a project, and it doesn’t seem like it’s turning out good, just keep trying your hardest, and it will eventually turn out,” Hansen concluded. Ink. Photo credit: Baylie Hansen.